(TibetanReview.net, Apr06’19) – Should the requirement of “not less than 50 percent of the votes” be determined on the basis of the total number of members present or on the basis of the total number of votes won by a candidate to determine whether he should be declared elected or not? This seems to be the crux of the matter with regard to one aspect of the question concerning the recent ‘election’ of a minister in the Central Tibetan Administration cabinet. The other aspect is, of course, the parliament speaker’s contention that the CTA’s judiciary had no jurisdiction over the Tibetan Parliament in Exile. The Speaker contends that 50 percent of 43, the total number of parliament members present, is 21, ignoring the fraction. He had therefore declared Mr Topgyal Tsering Zongkha elected since he won 21 votes. But the Tibetan Supreme Justice Commission (TSJC) disagrees. 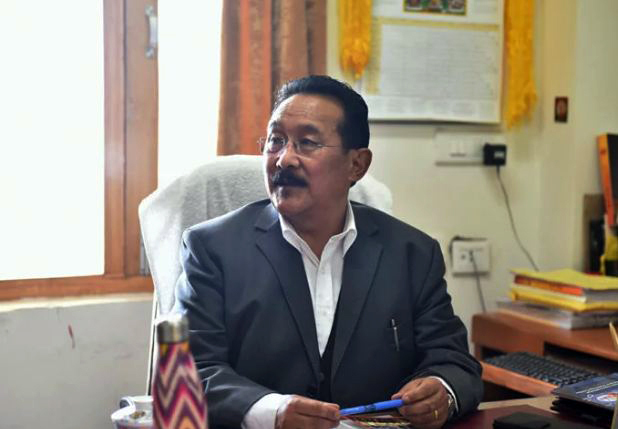 It has said 21 votes out of 43 is only 48.84 percent, and therefore the candidate had failed to reach the 50 percent threshold mandated by Article 22 of the Charter of Tibetans in Exile to be declared elected. On the question of ignoring fractions, the TSJC has pointed out that Article 49, cited by the Speaker, does not deal with election of ministers but only with the two-thirds quorum of MPs required for conducting the business of the House. The TSJC has also denied being in violation of Article 58 of the Charter as its refusal to recognize the election did not amount to interfering in the functioning of the parliament while it has a duty to uphold the provisions of Article 22 which prescribes not less than 50 percent of the votes for a candidate to be declared elected as minister. And so, while the exile parliament Speake insists that the Chief Justice Commissioner of the TSJC should proceed with administering the oath of office to Mr Topgyal Tsering Zongkha as a duly elected minister, the latter has come out with a nine-page explanation of why it could not do so at a press conference on Apr 4.